Should you consider installing solar panels in the UK? 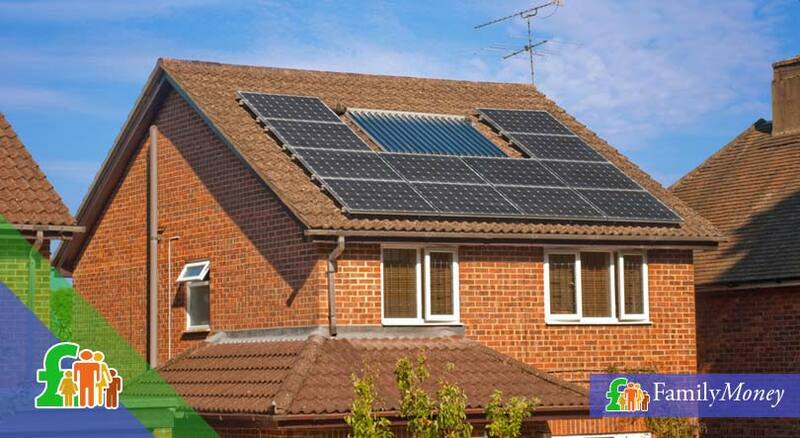 Solar panels have become increasingly popular over the last few years in the UK. A million homes in Britain are now using solar energy to power their homes and it is taking over from power produced by fossil fuels. By installing solar panels in your home, you can cut your energy bills and sell power back to the grid. The big question is, are they worth it? Do solar panels need sunshine to operate? Solar panels work by using the energy from daylight, as opposed to sunlight to operate. The photons that are present in daylight are converted into electricity by the cells within the solar panels. Despite popular belief, heat does not play a role in the solar panels production levels. Saying that, they will work better and produce more electricity when they are in direct sunlight so the clearer the skies, the more power will be produced. The UK, although mostly cloudy, still has enough sunshine and daylight in order for solar panels to work efficiently. 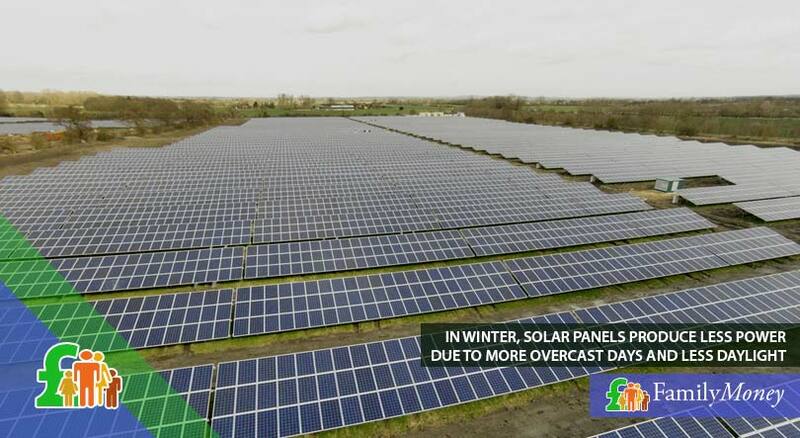 The UK, although mostly cloudy, still has enough sunshine and daylight in order for these kind of solar panels to work efficiently. The latest models of solar panels include concentrators that work with mirrors and lenses to maximise the light that falls on the cells within the panels. This allows the panels to operate in heavy, cloudy weather conditions, although the power production will only be 40% as effective as they would in sunny conditions. How effective are solar panels in the UK? Solar panels work perfectly well in the UK, in fact in early 2017, records were broken due to a long spell of sunny weather when, according to The National Grid, a quarter of the country’s power was generated by solar energy. Although Britain does not have the sunniest climate in the world there is still ample daylight, even through the winter, to allow solar panels to operate. The winter production will be less due to more overcast days and shorter daylight hours. The most commonly used solar panels, the kind that you usually see installed on people’s roofs, are called Photovoltaic Solar Panels, (or PV for short). These PV panels convert light directly into electricity. They are made up of individual cells that are linked together and enclosed in a frame to make a solar panel. The electricity that they produce is a direct current, where as the electricity that is used in a home is an alternating current. The current that is produced needs to pass through an inverter in order to change it from DC to AC and only then can it be directed into your home and used to power your electrical appliances. Solar thermal panels are used to produce hot water as opposed to electricity. There are two types of water heating panels, flat plate and evacuated tubes. The panels are filled with a liquid that is heated by sunlight and moves around the heating system to heat cold water from the mains that is stored in a water cylinder. This system is usually connected to an immersion heater that can be used on colder days, or to top up the hot water supply. The kind of system that is usually installed in a UK home to produce enough power for a family household can cost anything between 5000 – 8000 pounds. The prices have come down considerably in recent years, as solar power has become more popular and panels are becoming cheaper to produce. Years ago, the same system would have cost between 10,000 – 12,000 pounds. It is worth shopping around for prices and you can get quotes from many different companies before deciding on the most suitable installation for your needs. How do I get this money back? There are three ways in which you will get a return from your investment. The first way is by using the electricity that you generate during the daytime. This energy cannot be stored and is taken straight into the National Grid. Any power that you use at night time will be taken from your power supplier as these systems do not have batteries to store energy. The Energy Saving Trust estimates that a 4kWp system can save a family around 70 pounds a year from their electricity bills. The more energy that you use in the day, while the panels are producing electricity, will determine the amount of savings that you will have. You can set appliances to work during daylight hours to save yourself money. All the electricity that you produce from your solar panels will be paid for by the government whether you use it or not. 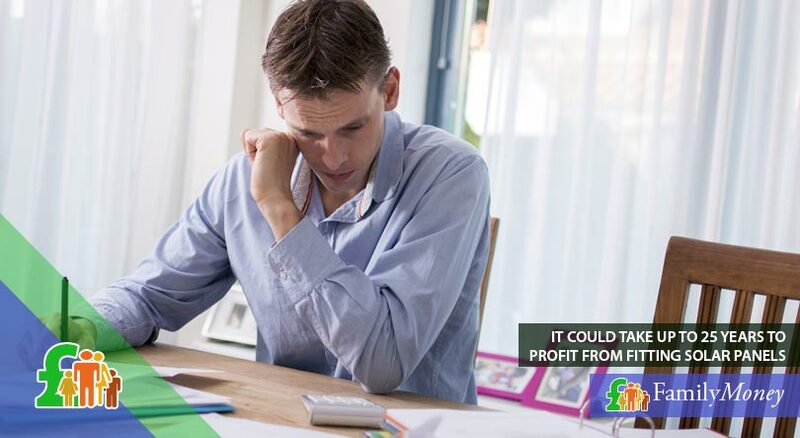 This applies to all households in England, Scotland and Wales and it is paid quarterly by your energy supplier. In February 2016 the government drastically cut these payment rates from 12.03pkWh to 4.14p/kWh. This tax free rate is guaranteed for 20 years and is index linked, meaning that it will rise with inflation. Under the feed in tariff, a normal UK home can expect to be paid around 150 pounds a year according to The Energy Savings Trust. The export tariff is a payment that is set at 5.03p/kWh for unused energy that has been returned to the grid. It is paid on the basis of a 50/50 split, unless the homeowner has an export meter to calculate this more precisely. So are solar panels worth the investment? Before you consider installing solar panels you will have to do some calculations to find out how much electricity your household uses. The Energy Savings Trust has a solar calculator on its website that can be used to calculate the amount of savings that you could have. You can simply input your details and it will give you a fairly good estimate of your annual savings. The savings will depend upon the area that you live in, the amount of energy that you consume and the amount of solar panels that could be fitted on your property. The savings will depend upon the area that you live in, the amount of energy that you consume, the amount of solar panels that could be fitted on your property and many other factors. There are tables on the website that show a typical house, in four different regions of the country and the national average saving per year is around 300 pounds. So what have we learned so far about solar panels? According to The Energy Savings Trust’s calculations, the feed in payments and the savings on your electricity bills over a period of 20 years could add up to around 6000 pounds for a home in the centre of the UK. Based on these calculations and depending on the price that the solar panels cost to install, it could take 23 years to break even. Based on the new lower rates, a house in Stirling could take up to 25 years to see a profit, depending on the circumstances. A house in the London area could break even in around 21 years. Before the government cuts on the FIT payments, a household would have typically received around 1100 pounds a year. It must be noted that the systems did cost a lot more to install. These higher payments were guaranteed for 25 years meaning that you would get about 27,500 pounds back, before taking into account the amount of cash that could also be saved on your electricity bills. You will need a south facing roof in order to maximise the amount of energy that you produce, although a roof that faces south-west or west will still make the investment worthwhile. If you have a sloping roof then one of the sides will always be facing one of the mentioned directions. The ideal roof should have the sun on it between 10 am and 4 pm in order to produce the maximum amount of electricity, but some light shade from trees, or nearby buildings will not drastically affect the system’s output. In order to be able to qualify for the full FIT payments, your property must have an energy rating certificate of a D rating or above. You will still be eligible for a much smaller form of the FIT payment with a lower than D rating, but it could be well worth your while trying to upgrade your home before installing solar panels. In order to register for the FIT payment you must have a certificate that has been provided by an accredited assessor. The government website has a list of assessors who can provide you with this qualification. The certificate rates a building on its energy efficiency with an A (highly efficient) through to a G (inefficient). These certificates are valid for 10 years and will then need reassessing. Because users in the south have slightly more hours of daylight than homes in the north of the country, the savings will be slightly increased. The Energy Savings Trust estimates that a house in London could earn 320 pounds a year in payments and savings, compared to a house in Manchester that would save around 290 pounds a year. You do not have to stay with the same energy provider that pays your FIT payments and are free to shop around for the best deal. All big suppliers with more than 250,000 customers are required by law to pay the tariff even if they are not your provider. Do solar panels affect the value of a property? The best advice here is to have a chat with a local estate agent. The appeal of solar panels will largely depend of the wants of the buyer, and with people being more environmentally friendly than they were a few years ago, many people could see these as a bonus. On the other hand, the property will be tied into a contract that could be off-putting for prospective buyers. If you were thinking of leaving your property in the near future then perhaps solar panels would not be such a good idea. An estate agent would have experience in these matters and be able to advise you accordingly. Planning permission is not usually required to install solar panels. There are a few exceptions, for example if your building is in a conservation area, or is listed. You can check with your local council as to whether your building falls into any such categories. A qualified installer, who was giving you an estimate, would generally be able to advise you on such matters. 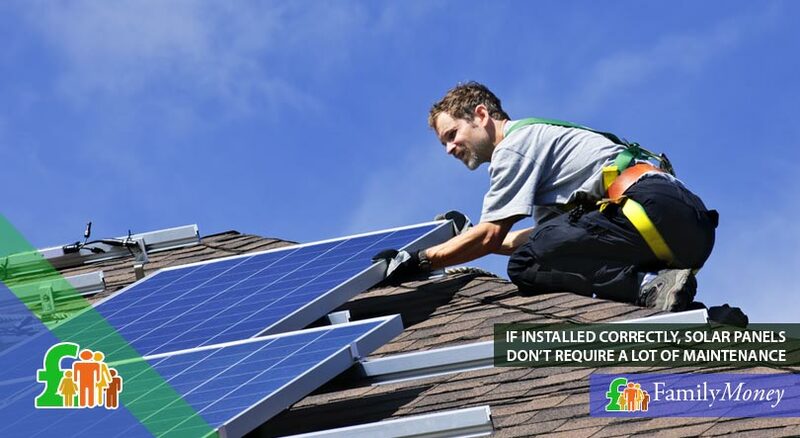 Solar panels do not require a lot of maintenance when they have been installed correctly by a qualified fitter. The inverter usually needs to be replaced after around 20 years at the cost of about 800 pounds. Dust can accumulate on the panels and may slightly reduce their effectiveness, but generally speaking the rain water in England usually takes care of this matter. Insures can cover solar panels for damages but it is best to check with them, as the premium could rise. Make sure that you have a 20 year warranty that will cover you for the FIT. The energy that is generated from the panels will be free for you to use. This means that in order to maximise their value you will need to spend as much energy as you can during daylight hours. The appliances that you are using will need to be staggered in their use so that there is enough power to supply them without taking more power from the grid. The current system of using free power in the daytime and paying for it at night will change in the near future, as solar energy storing batteries are starting to come down in price. This will allow homeowners to store excess energy and use it in the evenings when they used to have to buy it from the grid. Research carried out by The Carbon Tracker Initiative shows that the price of solar panels had fallen by 85% in the last 7 years. They also predict that 23% of global power will be solar produced by the year 2040. So what can we conclude about solar panels? Deciding to go green for many people is enough incentive to install solar power. It seems that solar panels are a long term investment, that need quite a bit of research before installation. Their worth to the user depends on many factors and careful consideration would be needed before deciding if they would be cost effective for you and your family’s needs. Getting Fit For LISA: Ways To Get Your Finances In Shape!